Major Harry Potter Spoiler Alert! If you haven’t read/watched the Harry Potter series by now, it’s really not my fault if I ruin the ending for you. In Harry Potter and the Order of the Phoenix, we learned that there was a prophecy that could have been interpreted in one of two ways. 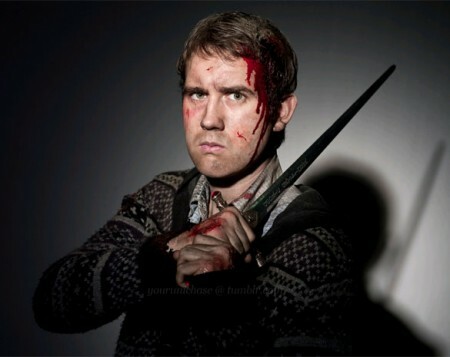 Either Harry Potter would be the downfall of Lord Voldemort or Neville Longbottom. Lord Voldemort, being a logical man, decided that it MUST be the Potter baby, not the Longbottom baby (just the phrase, “Longbottom baby,” made Voldemort laugh), and Harry became the boy who lived. While Neville became the boy who’s nearly a squib (wizard born, non-magical person). 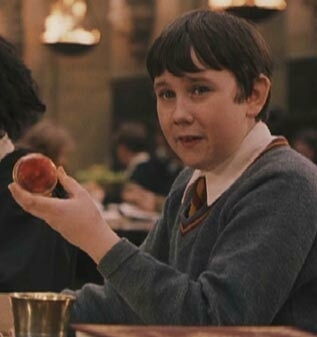 After reading Harry Potter and the Order of the Phoenix, I so wanted the series to end with Neville Longbottom being the one about whom the prophecy had been. I wanted Neville to lay waste to Lord Voldemort. The one boy who had been passed over. The boy who everyone thought was nearly a squib. I wanted him to be the final dispatcher of He Who Must Not Be Named. I truly think J. K. Rowling lost out on a surprise ending. To have Neville merely destroy one of the Horcruxes was a nice touch, but it wasn’t the truly shocking ending that I wanted. I know, I know… Harry Potter is the hero. Harry Potter HAS to be the one to finish off the big baddie. But, I SO wanted it to be different. 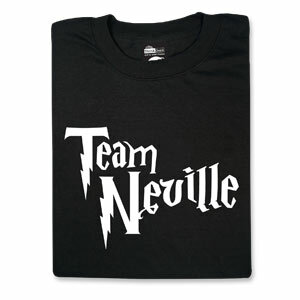 I wanted The Chosen One to be Neville, if only because Lord Voldemort (and everyone else) never thought to choose him. Truly, Neville Longbottom is the unsung hero of Hogwarts and deserves a book series of his own. I TOTALLY AGREE! Neville was considered a loser for the longest time, yet when Harry, Ron, and Hermione left, Neville took over and did everything he could to rebel against the death eaters when they took over the school.